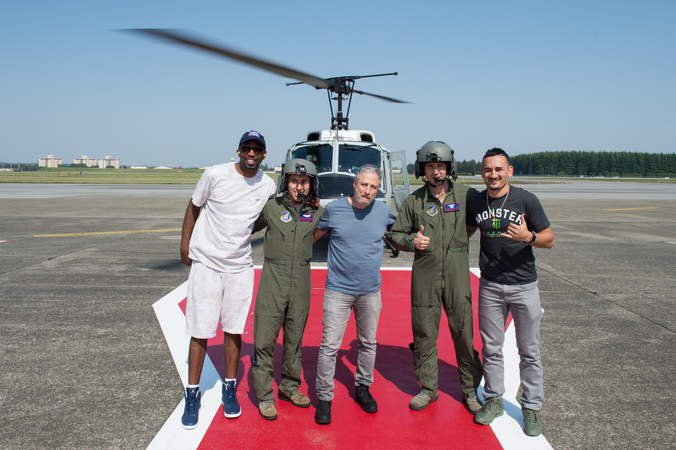 USO is honored to have the support of actor/comedian Jon Stewart over the years, whether it means traveling around the world to visit service members or joining USO in celebrating our milestone 75th anniversary. 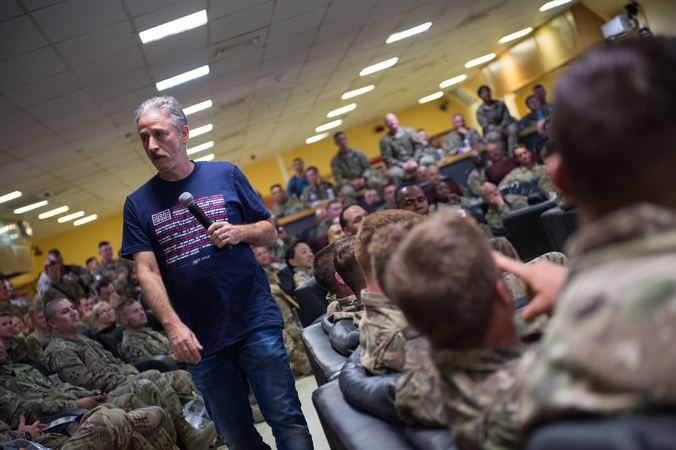 Stewart has entertained more than 9,000 service men and women both stateside and overseas in locations like Japan, South Korea, Afghanistan, Iraq, Spain, Germany and Ireland. 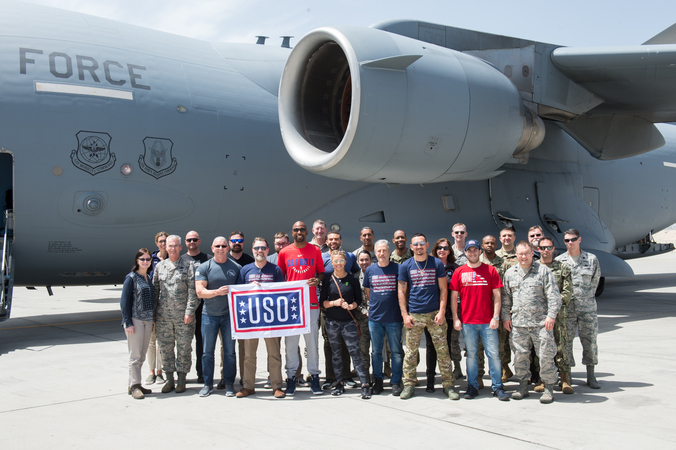 Most recently, he joined the Vice Chairman of the Joint Chiefs of Staff and other entertainers on the USO Spring Tour around the world. Check out the video and photo gallery below to see Stewart in action. During his most recent tour, Stewart highlighted the importance of being able to "give a little bit of your time to make sure that the people who have been giving all of their time for your security are recognized." Led by by Gen. Paul Selva, Vice Chairman of the Joint Chiefs of Staff, the tour brought former “Daily Show” host Jon Stewart, UFC fighters Paige VanZant and Max Holloway, country music artist Craig Morgan, celebrity chef and TV host Robert Irvine, and Richard “Rip” Hamilton, a retired NBA All-Star, around the world to thank our troops. The USO and Joining Forces teamed for a star-studded comedy show to entertain military families on May 5 at Joint Base Andrews, Maryland. To mark its 75th anniversary, the USO welcomed tour veterans, Medal of Honor recipients, military leaders, corporate partners and members of the USO Congressional Caucus to a reception at The Hay-Adams, a historic hotel and Washington, D.C., landmark.